Our official badge: Azure, semy of billets fesswise argent, a thimble Or. 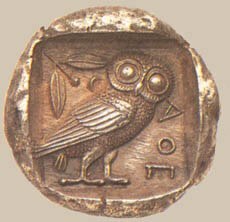 The Keepers of Athena's Thimble officially came into being on January 12, AS XIX (1985 CE). The Keepers of Athena's Thimble are the embroiderers of the East Kingdom, and we exist to promote the needle arts. Anyone who appreciates embroidery may become a member, and some members choose to panel their works in order to achieve rankings within the Guild's twelve categories of types of embroidery. As our leadership, member achievements and rules are subject to change, please visit our Guild's home on the internet for the most current information. This page was last edited on 26 November 2017, at 00:05.